The idea that outdoor recreation can be a beneficial tool for economic development, especially in rural areas, is not new. For the last few years, young professionals have been making decisions about where to live and work based more and more on the recreational amenities offered in any given market. So it was not surprising that when the International Mountain Bicycling Association held its Trail Labs session in Bentonville, Ark., last month, economic development entities from both Northeast Tennessee and Southwest Virginia were in attendance. 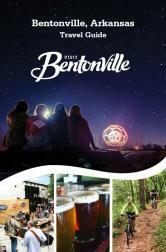 • Bicycling in Northwest Arkansas provides $137 million in benefits to the economy annually. • Bike tourism is a significant economic driver with tourists spending $27 million at local businesses each year. • Investment in soft-surface mountain bike trails is a key driver of tourism with at least 55% of mountain bikers traveling to Northwest Arkansas from outside the region. • Bicycling in Northwest Arkansas generates $85 million annually in health-related benefits. • Residents of Northwest Arkansas spend more than $20 million on bicycling annually. • Houses within .25 miles of the Razorback Greenway sell for an average of nearly $15,000 more than those two miles from the trail.